* Latin Rhythms will have audience members dancing in the aisles as students play this fun duet! * Perfectly capturing the feel of the greatest Latin dances, this piece dramatically alternates between G major and G minor. * The colorful melody, which sings out above syncopated rhythm in 4/4, alternates between parts. 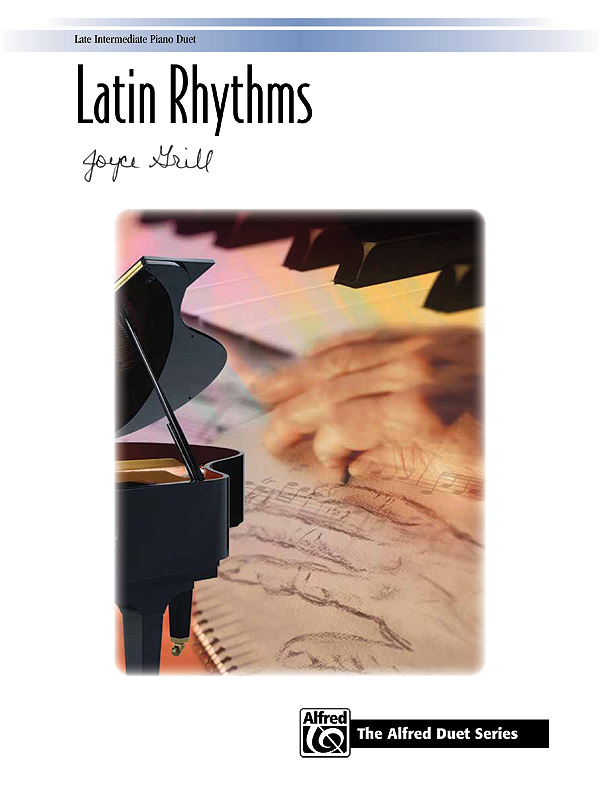 * Students should take great care to perfect the challenging rhythmic lines to give the piece its proper mood and flair. * Performers should also accentuate the articulations for extra effect. * Put on your dancing shoes, and take a musical journey to Latin America!